Take a stroll down George Street! 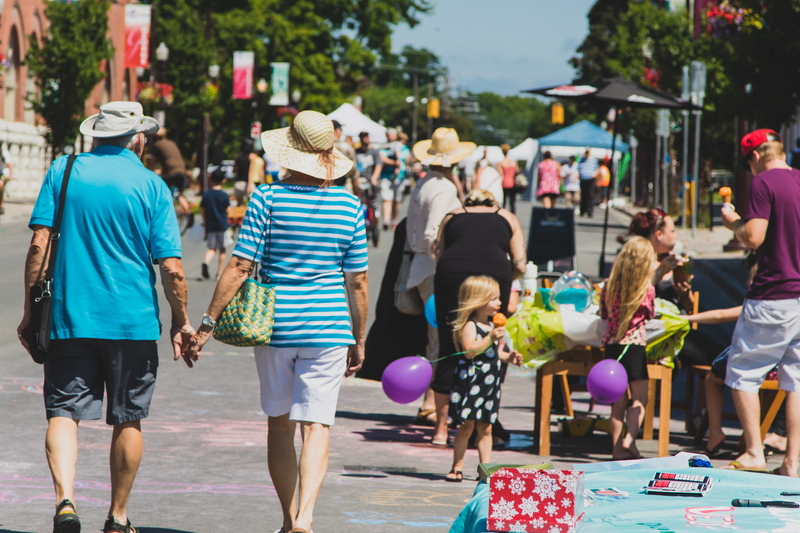 Peterborough Pulse returns to George Street on Saturday, July 16 from 9am to 3pm, opening up a car-free corridor to the downtown. Jog, skate, bike, scoot or stroll from Parkhill Road to Sherbrooke Street, and meet a few folks along the way. The community will be out with activities for all ages! Extreme hopscotch, bike playgrounds, and basketball of all forms. Pop-up patios and street sales, too! ← Shifting Gears Wraps Up with Blender Smiles!